West End Center Photos Challenge! 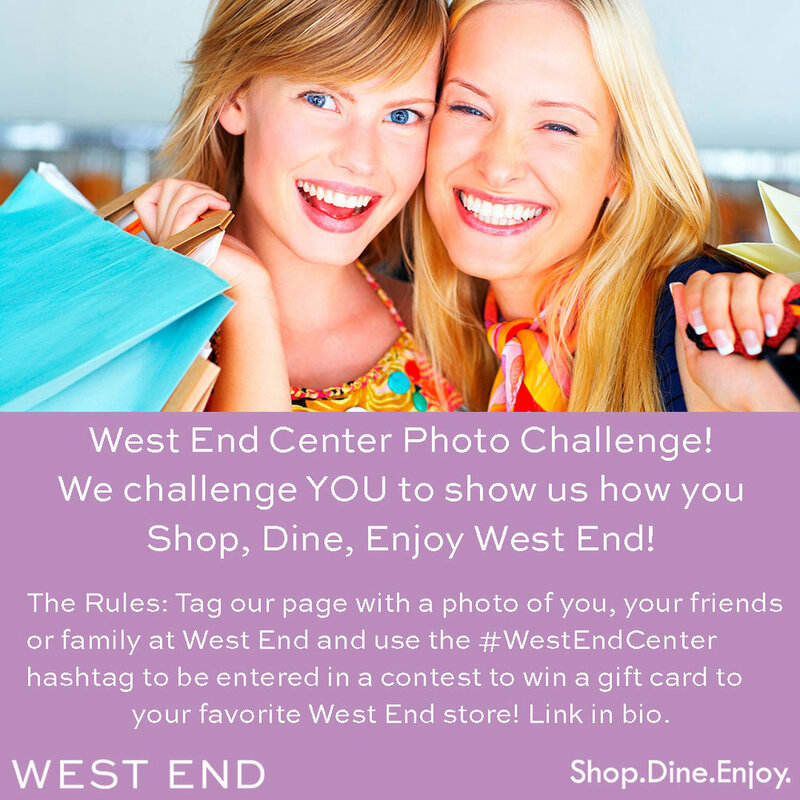 West End Center challenges YOU to show us how you Shop, Dine, Enjoy West End! Tag our page with a photo of you, your friends or family while at West End Center and use the #WestEndCenter hashtag and be entered in a contest to win the a gift card of your choice to your favorite West End Center stores now through August 22nd! Winners will be chosen weekly! See event for details.